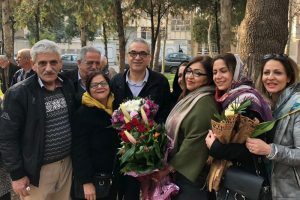 Fariba Kamalabadi, one of seven former members of an ad hoc leadership group for the Baha’i minority religion in Iran, was released from Evin Prison on October 31 after completing a 10-year prison sentence. Her release follows the release of Mahvash Sabet, another prominent Baha’i, on September 18. 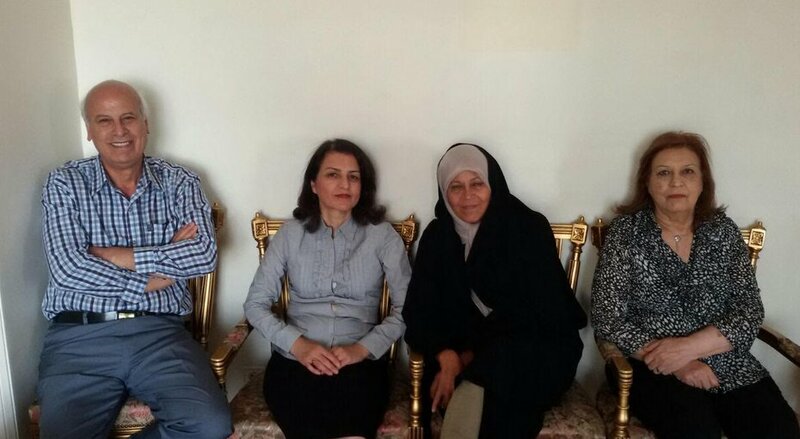 Following Kamalabadi’s release, Faezeh Hashemi, the daughter of the late Akbar Hashemi Rafsanjani, visited her. 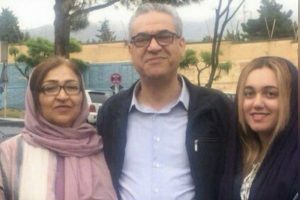 The two women had been held on the same prison ward for six months when Hashemi was serving a sentence for charges of “propaganda against the regime” in connection with her political activism. Details of the women’s visit have not been released. Kamalabadi and six other leaders of the Baha’i community were arrested in early 2008 and spent several months in detention without being charged or without access to a lawyer. She spent four months of her detention in solitary confinement and was denied a leave of absence for eight years. In January 2010, the Revolutionary Court sentenced each member of the group — called Yaran, or “Friends” — to 20 years in prison on various charges, including spying for Israel, “insulting the sacred” and “propaganda against the state.” The appeals court later reduced the prison sentences to 10 years for each individual. After her arrest, Kamalabadi was put into solitary confinement at Ward 209 at Evin Prison, which is under the control of the Intelligence Ministry. When she was convicted, she was transferred to the even more notorious Rajaei Shahr Prison in Karaj, near Tehran. In that prison, Kamalabadi, Mahvash Sabet, and a number of political prisoners were locked up in the communal ward with hundreds of ordinary female prisoners — inmates incarcerated for crimes not linked to politics. When authorities closed the women’s ward of that prison, the prisoners were all transferred to Gharchak Prison in Varamin near Tehran, where the conditions were even worse than those at Rajaei Shahr Prison. According to Kamalabadi, the women’s ward at Rajaei Shahr was overcrowded and lacked sufficient hygiene facilities. Hundreds of prisoners were forced to use a single sink, just two lavatories and two showers, a situation that put pressure on both the prisoners and the guards, creating a desperate environment. The three-level bunk beds were such that the prisoners could not sit upright on the lower or middle beds. They went through the day completely bent over. But the worst part was that there were not enough beds, and some prisoners were forced to sleep on the floor. After 15 days, Kamalabadi and other prisoners of conscience were transferred to other prisons, but ordinary prisoners had to continue living under these insufferable conditions. Kamalabadi was sent to Evin Prison, where she served the rest of her sentence. She has difficulty remembering how many times she was interrogated. But she does remember that in most cases she was interrogated while being blindfolded — a clear violation of her legal rights. How she was treated depended on the interrogator. Sometimes she was treated with respect, but at other times she was subjected to harsh treatment. Kamalabadi believes that one of her most important achievements in prison was the “deep understanding of human beings,” something that she says would not necessarily have happened if she had not gone to prison. What really affected her was the experience of living closely and sympathetically with people who had different beliefs, thoughts and political views — again, something that does not happen easily outside prison. 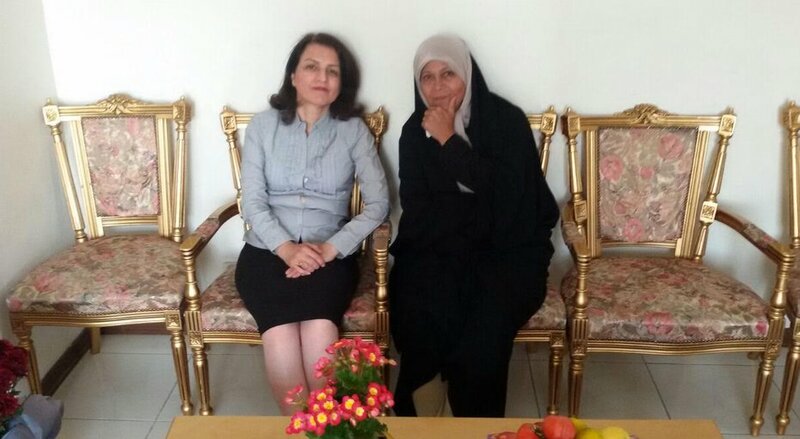 A welcome visit from Faezeh Hashemi, a true respecter of the right for every soul to find its own footing in the path of God, a path which no other being has the right to choose for another, and certainly which no state has the authority to impose on another.